It's ironic that the same technology companies use to slash their workforce, is also being used to organize workers demanding fair treatment. Automation is eliminating jobs for bank tellers and retail cashiers. Bots take on more customer service roles. Stable jobs are replaced by gig workers who are treated as independent contractors with lower earnings and less benefits. Businesses use technology to lower their costs. Workers lose and have little negotiating power. They lack contact with other workers making it harder for them to organize for collective action. Traditional organizing doesn't work well in this new environment. 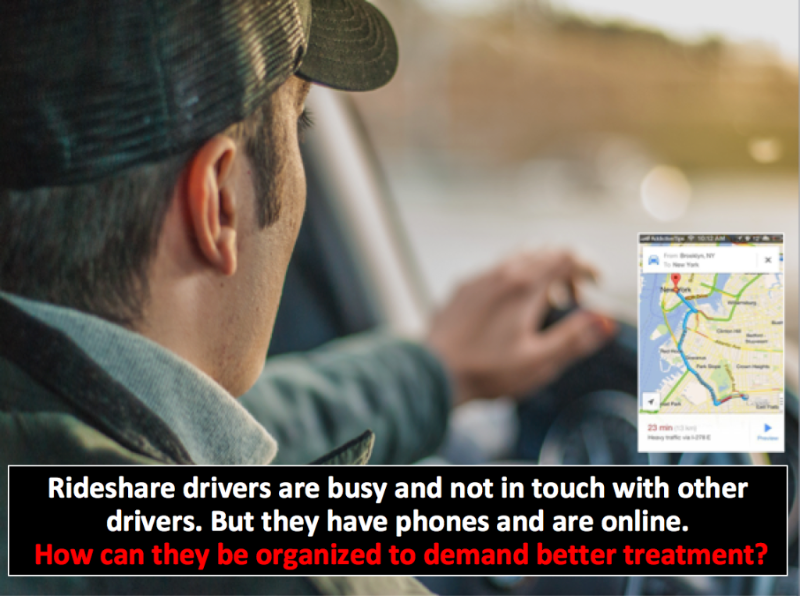 What is needed is a flexible, affordable approach to find and educate gig workers on the benefits of organizing. The answer could be chatbots. These virtual assistants work around the clock, cost next to nothing and are available whenever needed. Chatbots can handle thousands of queries, collect details, answer questions and provide information. 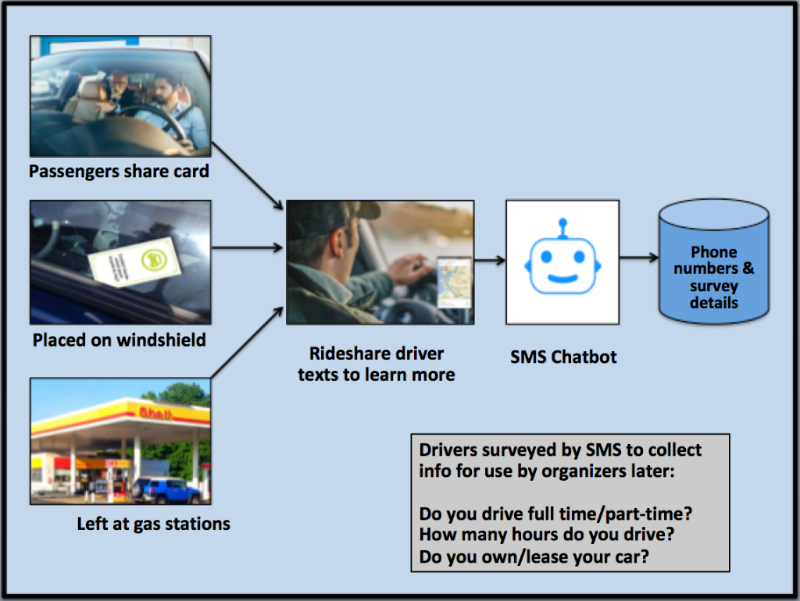 A new pilot project uses chatbots to organize ride-share drivers. Small printed cards with the benefits of collective action are distributed to drivers through various means (see below). 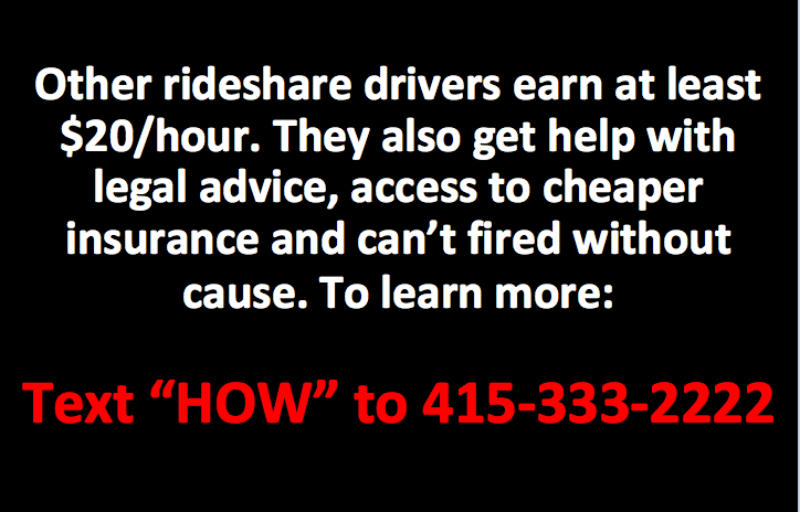 The drivers are encouraged to text in to learn more. A chatbot fields inquiries and collects information from the drivers. This makes it easier for organizers to follow-up later with drivers individually. DemLabs works with progressive groups to identify problems. It then researches and finds innovative software solutions that the business sector use to solve similar problems. This project uses Google Dialog Flow and Twilio - two widely used commercial software applications. Isn't it only fitting that chatbots which are used to eliminate jobs, can also be put to work to empower workers?